"Thank you for allowing me to use your Fandrich & Sons piano on my latest Jazz Trio CD recording. 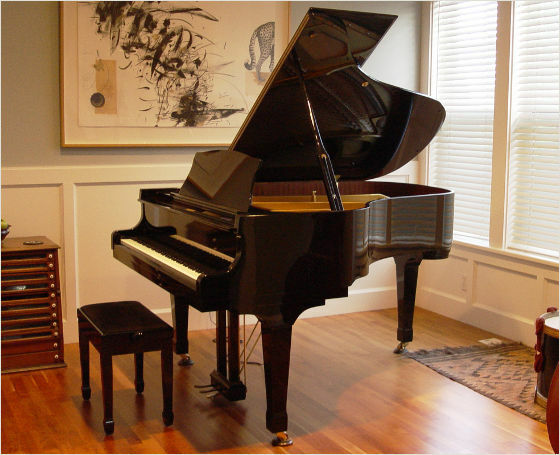 Your piano has everything a classically trained artist would want: a quick and fluid action; beautiful, singing tone, yet powerfully bold when called upon. The action doesn't control me - I control it. It's heaby enough to respond but light enought that you can execute. It plays itself! You're getting the sweet part of each tone at all volume levels, like the piano is an extension of my brain. To this point it is one of the finest pianos I have ever played. Thanks for all your hard work!"